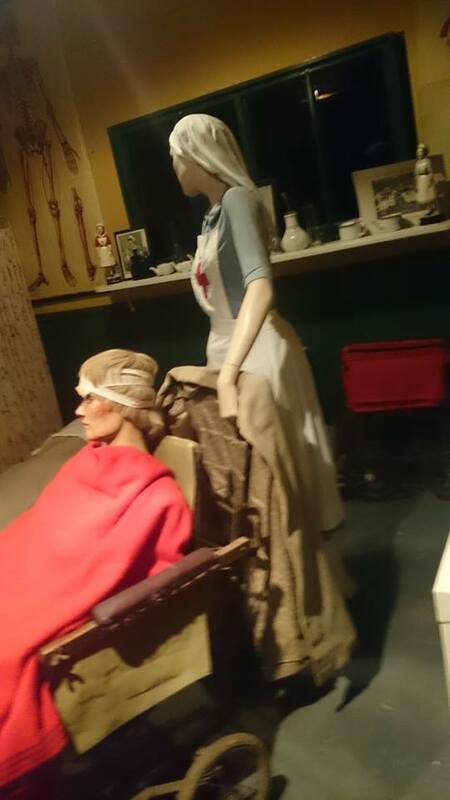 As you can see from the title, this post will be about a museums in Malton, North Yorkshire called Eden Camp, Jade has been pretty busy this week so I (Liam) will be writing this. So our two weeks off work were slowly coming to an end, Jade asked what I fancied doing. Now with Jade being brought up in the armed forces I thought I would suggest Eden Camp. Its only a 45 minute drive from our house and is only £6.50 per adult and children under 5 are free. Now this is probably not like any museum you have ever been too. I mean sure they have the waxwork models, expensive antiques behind glass and lots of information to read. However its the location of this museum that makes it truly unique and magnificent. 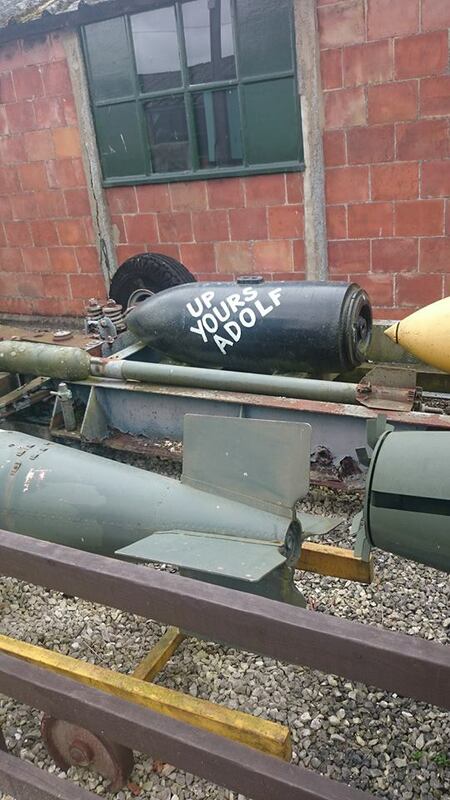 The site on which the museum is located is a former prisoner of war camp used by the British forces to house German and Italian POW's captured in Africa and Europe during the second world war. 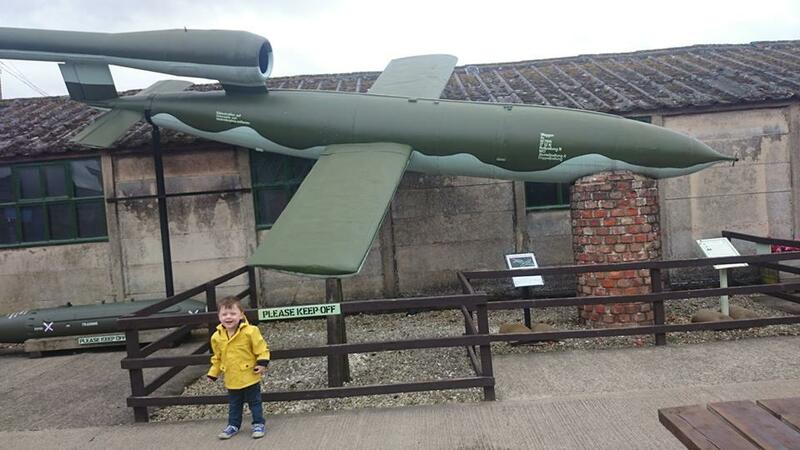 From the minute you drive in you are immersed in wartime culture, there are planes, tanks, trucks, guns and bombs situated in and around the grounds. Each separate exhibit was in its own hut which is a nice effect as the mood can switch between one bunker to the next. Starting a hut one it takes you on a step by step journey from the rise of the Nazi party, the UK declaring war, the blitz, the holocaust and more key events during the conflict. Some of the huts use smells, sounds and lighting effects to give you a real look into the conditions that people were forced to live in. A key one for me was the German U-boat hut. The inside had been kitted out to feel like you were in a submarine. This was important for me as my Great Granddad was a member of the Navy at that time so to experience what my family would have felt was something many other museums simply fail to offer. 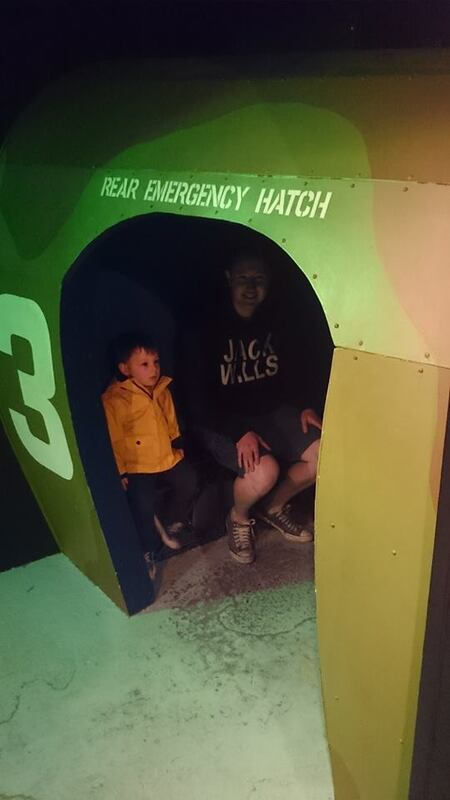 Jared was not too keen on this hut as it was quite dimly lit and was pretty loud, along with the blitz hut. However I would not discourage anyone from going in them. They are amazing and really made me sit back and realise how lucky we are to live in a time where such conflict is not as close to home. By far Jared's best bit was the children's play area which looked fun even for us grown ups and the entertainment show in the music hall, puppets, singing and comedy. What more can I say, the puppets impersonating real people and a lot of crowd involvement made it a thoroughly enjoyable experience for all.. There is the ability to take a picnic if you wish however the on-site cafe is very reasonably priced and the gift shop is also surprisingly great value for money, also, what's a family day out without the pets? 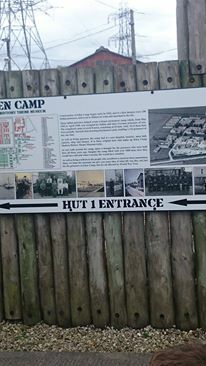 Eden Camp are happy to allow you to take your dogs round the museum. 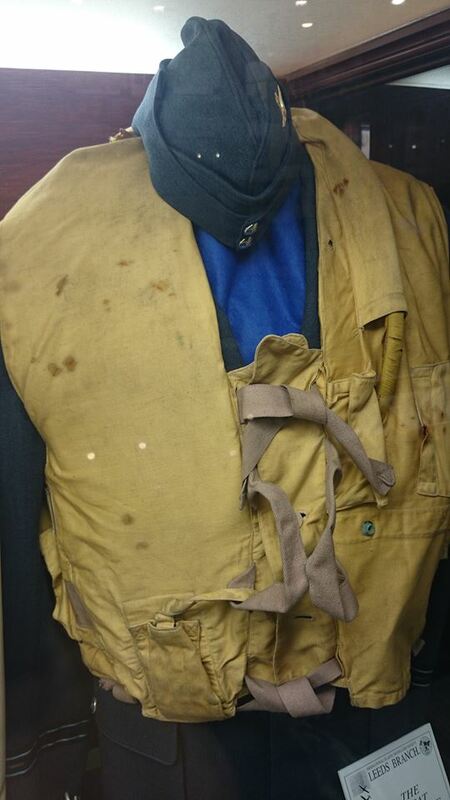 Overall I loved every minute of Eden camp, it is not often I walk away from a museum after having such and enjoyable experience and actually learning something. As you will see from the pictures many if not all of the documents, photos and artifices held at Eden camp are originals. So if you fancy a cheap day of with the kids or if you a history addict then check them out! If you liked this post then drop Jade a tweet, comment on this post or drop me follow on twitter @LiamBurton92 and who know this could be a regular thing.